Smelly car? Car Air Con deodorizer is the solution! Your Car Air Con can be the cause of unpleasant odors in your car, as bacteria and fungi may be growing on your cabin filters which will result in bad smells coming from the vents. Tobacco smoke can also leave a bad odor in your vehicle. If the odor is due to one of these possibilities, we will proceed with the correct treatment going from non-toxic decontaminates to deodorizing machines or we will simply remove and replace the contaminated filters. 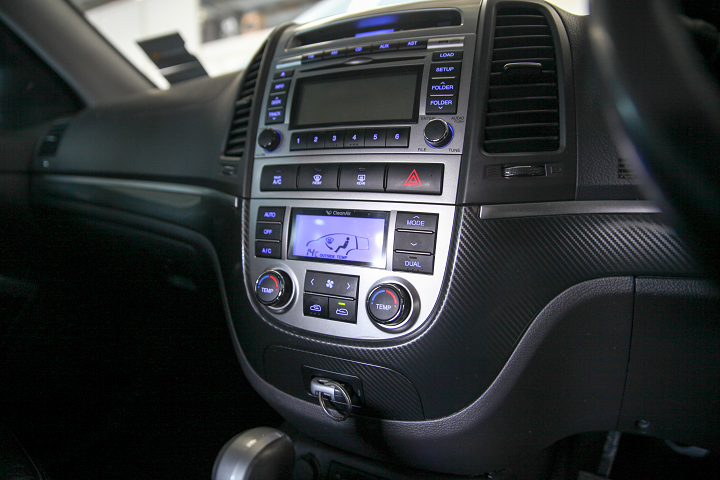 With our Car Air Con deodorizer, we will have your car smelling fresh again. If you have any other trouble with your car, we can take care of this as well: trouble starting it? Might be the battery or alternator! We’ll get it fixed for you! Get your Car Air Con deodorized! If the bad odor is due to spilled milk in your car or just a very persistent and unpleasant smell that you really can’t get rid of, we have the solution! We use specialised equipment such as The Purifier™ Fresh Air Ozone Machine using the latest air purification technology for Car Air Con deodorizers. This magical little box can make the very persistent and unpleasant odors disappear. It gives you healthy and clean air back in your vehicle, truck or motorhome. It’s the use of ozone, used in small doses is completely safe and has no harm on the environment but sterilizes by killing bacteria, viruses, odors and mold spores. You will be breathing purified, healthier air and enjoy a more comfortable interior environment in your vehicle. Call us to make an appointment. We can get rid of mold, mildew and bacteria in your vehicles air con system. We can help you to get rid of the most offensive and stubborn odors such as spilled milk or even tobacco smoke with our Car Air Con Deodorizer technologies.